Rising demands for affordable communication services across the globe and improvements in wireless infrastructure are fuelling the growth of VoIP operator services. In this highly competitive market, operators selling hosted IP telephony can differentiate themselves by the value added services they offer and the speed at which they provision and manage those services. Security measures such as encrypting voice services, securing VoIP equipment behind firewalls and defending against Denial of Service (DoS) attacks are just some of the ways operators can differentiate themselves when introducing VoIP. Other measures include guarding against toll fraud and securing phone records. Eavesdropping is one of the most common threats in a VoIP environment. Because most VoIP traffic is unencrypted, anyone with network access can listen in on conversations. Operators can enhance security by using quality handsets. 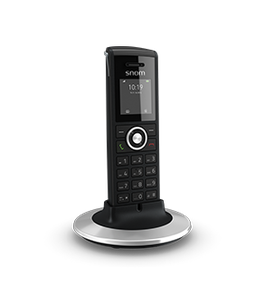 Snom is a security conscious VoIP vendor, and the use of Snom handsets allows operators to implement a multi-layered security solution. 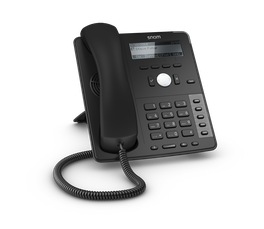 In conjunction with TLS/SRTP-enabled PBX, Snom phones provide a secure VoIP environment that is not vulnerable to security risks involved in internet telephony. 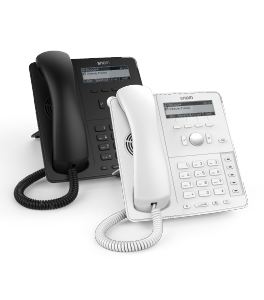 This telephony setup not only maintains the integrity of the SIP signalling messages exchanged, but also provides encrypted audio streams for security against eavesdroppers and tapping. 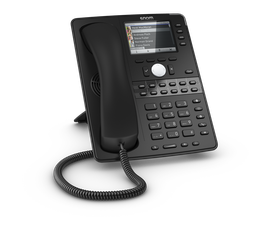 The TLS/SRTP feature of Snom phones is interoperable with a number of PBX vendors, including 3CX, Asterisk and Ingate.